Without a solid editor for YouTube videos, you'll have trouble making deep adjustments to your videos. You might do fine with the basic editing YouTube provides, but some projects need a heavier treatment. Fortunately, there are plenty of alternative editing apps for YouTube. 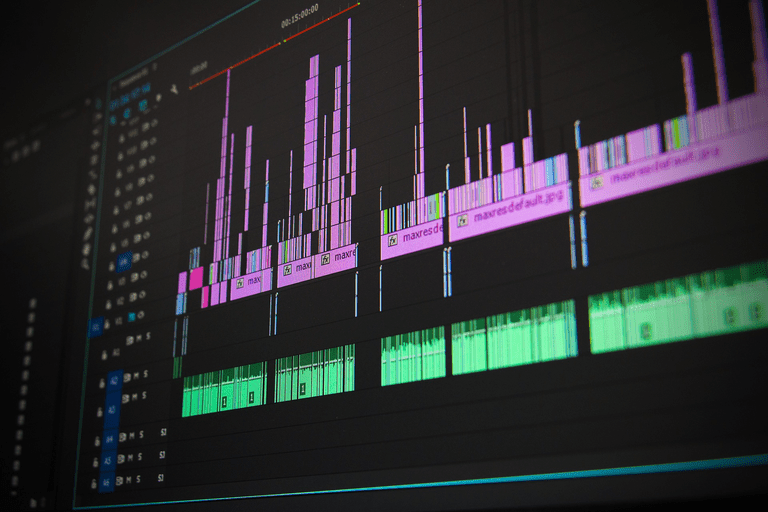 Among all the video editors out there are many free ones, and within those are programs that are great for editing YouTube videos, specifically. There are editors for all platforms: Windows, Mac, iOS, Android, and others. These programs let you do all sorts of things to your videos — add text, join clips, overlay filters, create fade effects, import music, delete unwanted video sections, display a watermark, run macros, and lots more. Many features must be purchased through add-ons. HitFilm express has lots of features any YouTuber will love. Some of the more advanced capabilities like chroma key and picture-in-picture will cost you, but they're decently priced. Plus, there's still a lot to like with this free YouTube video editor even if you never buy an add-on. You have to make a user account before you can download HitFilm Express, and then log in with that same account to activate the program. The download link is delivered to your email. You can use this free video editor for YouTube on Windows and Mac. Clipchamp has you covered if you're only interested in a quick editor for your YouTube video. It lives entirely online, so no software download is required. Plus, it couldn't be easier to use. This free video editor for YouTube videos won't produce HD videos but it does export to MP4 and accepts audio, video, and pictures. You can add content to your video by uploading the files to the Clipchamp website. Drag them onto the timeline to arrange the files and clip out what you don't need. Because this YouTube editor is online only, it works with all operating systems. Just sign in with your Google or Facebook account to get started. Saves all progress online, automatically. Works on Android and iOS. Extremely easy for anyone to learn how to use. Includes only 10 free audio clips. Text tool is too basic. Adobe Premiere Clip is a mobile app that makes YouTube video editing really easy. If you have one or more clips that you need to add together with music, and you don't need too much editing done to them, then this app is perfect. This free YouTube video editor runs on both iOS and Android. Keep editing while rendering or exporting. Can't export to UHD 4K. Lacks collaboration features found in Pro version. Lightworks is an award-winning video editor that's completely free. One major limitation is that you don't get support for all the export formats that you'd find in Lightworks Pro. Some of Lightworks' other features include drag-and-drop support, "fit to fill," full screen mode, customizable layouts, precise trimming via the keyboard, multicam clip switching, auto-sync on import, transitions and filters, batch export, and playback comparison of two sources. If you need helping using Lightworks, they have several free video tutorials and an active community forum. Lightworks runs on Windows, Linux, and Mac computers. Includes free music and other add-ons. Forces a watermark clip at the very end. Few built-in themes and media files. Can't quickly save and then continue editing. Another free editing app for YouTube videos is FilmoraGo. It manages to be fairly easy to use while also packing some great features like a built-in library of music, video transitions, and basic video editing tools. FilmoraGo runs on Android and iOS. KineMaster and Videoshop are some other awesome free YouTube video editors for mobile devices, but we've omitted them from this list because both will stamp a watermark on top of the video unless you pay to have it removed. With FilmoraGo, the watermark is only at the very end of the video, and you can pay a couple bucks to have it removed.